Grab your best mates for afternoon sundowners — these venues are shouting every third cocktail. Summer arvos call for cocktail-sipping in the open air, and one of the best tipples to enjoy al fresco-style is the Aperol spritz. The drink whisks you away to the Italian coastline and makes any sunny day just that little bit brighter. 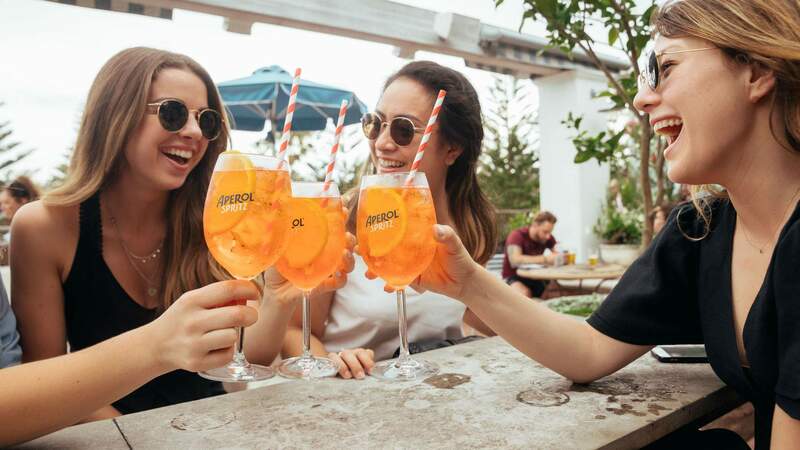 Merivale knows this all too well so it's launched Aperol Afternoons, a decadent deal that's available at some of its best outdoor venues across the sunny season. From 4–6pm each day, your group can relax and enjoy Aperol spritzes — and if three of you order this delicious tipple, you'll only pay for two. Paying for a round is sounding a little more appealing now, right? To take advantage of this special sundowner offer, head to the lush Coogee Pavilion Rooftop until Wednesday, February 6. After that, Aperol Afternoons will be making stops at The Newport's expansive beachside deck from Friday, February 8—Friday, March 6 and the Ivy Pool Club's sky-high oasis from Friday, March 8–Sunday, March 31. For more information on the deal and venues, visit the Merivale website.